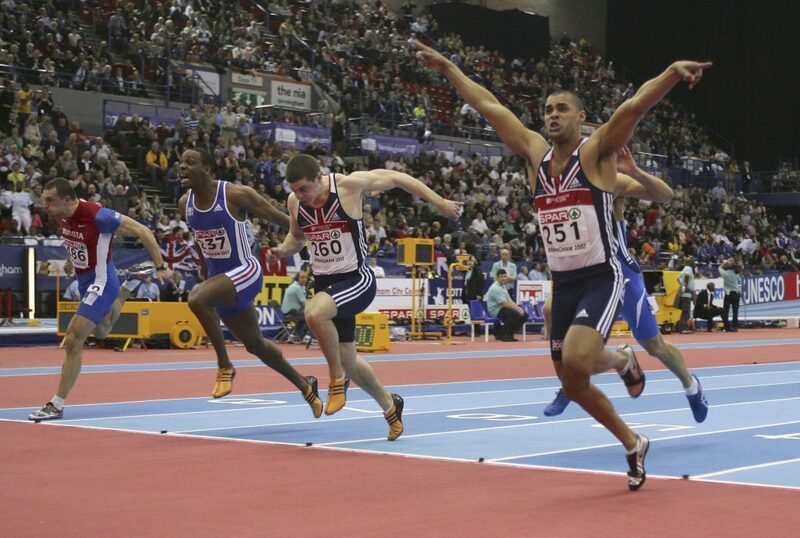 Jason Gardener’s journey with the European Athletics Indoor Championships was an odyssey played out over 60 metres. 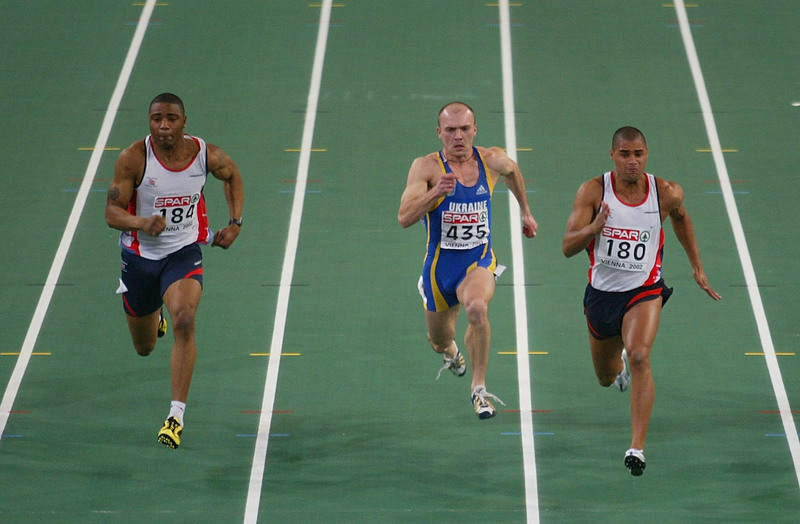 Gardener is one of the most decorated sprinters in the 49-year history of the Championships, claiming four successive golds from 2000 and 2007. Only Valeriy Borzov and Marian Woronin have more gold medals than him over 60 metres, the Bath-born star establishing total dominance over his discipline in the new millennium. 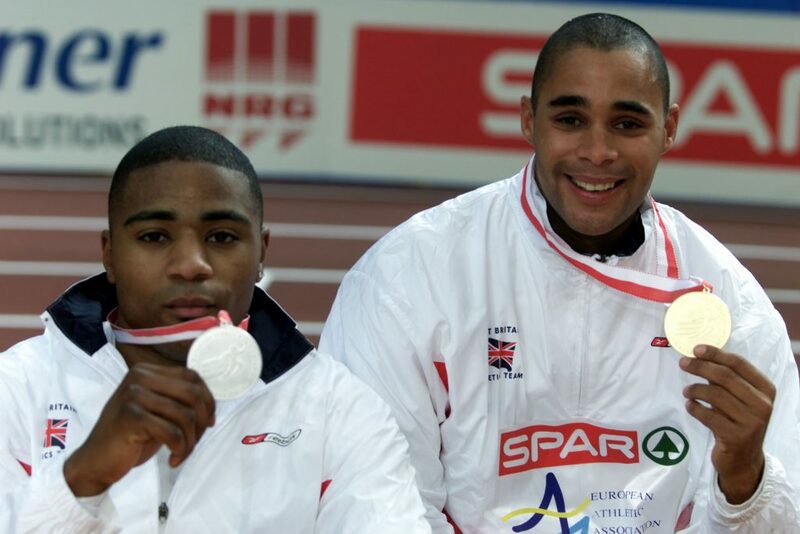 I’ve got quite a lot of memories on the back of competing at the European Athletics Indoor Championships. I first went in 1996, to Stockholm. My first flavour of the event was a devastating, low moment for me. I went into the Championships with the fastest time in Europe and I was trying to make my mark at a senior level. I went out in the first round. I remember it vividly, actually, I twitched on the blocks and by the time the gun had gone, in a 60 sprint there’s no room for error. I was so desperate to put a marker down and show I was the best in Europe. I held one of the best times in the world. I paid a heavy price and I had to learn to be disciplined and composed at that Championship level. In the history of my performances in that Championships for the following ten years, I demonstrated I’d learned my craft. All athletes learn lessons and some are very hard. The marker of the character of future great athletes is how they respond to those disappointments. It’s funny, I forget about Valencia sometimes, but it was a really key turning point. The introduction of Lottery Funding had been announced in 1996 for the Olympic Games and in Valencia, funding was just starting to flow through to these sports. I was desperate to make sure my name was on that funding because of the impact that could make on my career as a professional athlete. I ran well earlier on in the season but by the time the European Championships came around I wasn’t firing on all of my cylinders. Luckily I pulled it out in the final from the fifth lane and won silver, being beaten by Angelos Pavlakakis who was always really good indoors. Any athlete getting a Championship medal is a marker of proving you have the capacity to perform well at that level. Getting the first medal is always quite hard, getting the first gold is extremely hard and defending any title is a real mark of any character. The first one I won was Ghent, that was a huge relief to go in as the favourite and to win, to back it up in Vienna was just, again, a really brilliant thing to do because not many people do that. It was a one-two with Mark Lewis-Francis, which made it all the more satisfying. Mark was always annoyed when I raced him over 60 because I used to nudge him! He was a brilliant indoor runner as well. 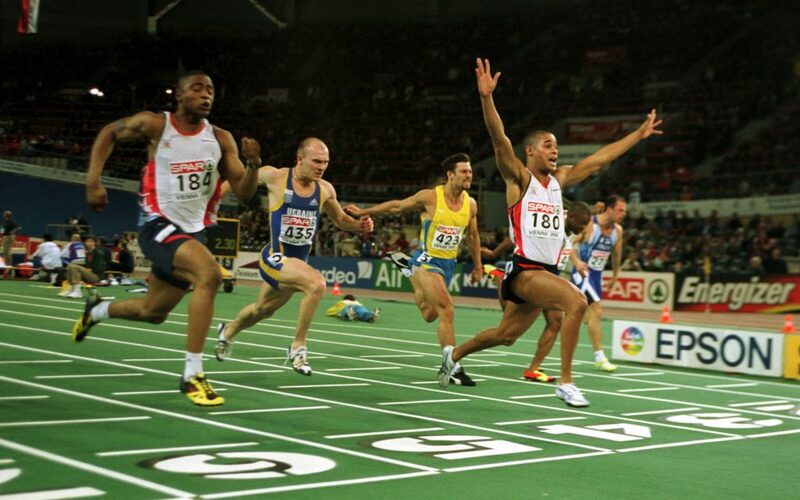 When it came to 2005 in Madrid, I was coming off the Olympics and I was on a high from that. I wasn’t in the greatest shape going in though, I had a catalogue of injuries, but to pull out victory against two very good French athletes was about pride. It was about taking ownership – this is my event, I’ve been here before, I can handle the pressure. These guys hadn’t won it before so I knew the pressure was on them to win it. In my head, it was a case of them having to take it off me. It was in 2005 that ownership of the event came. In Birmingham I took total dominance, pulling out one of the best races of my career. My only disappointment in that final was my really good friend Ryan Scott, who joined our training group when he was 13, made the final and got disqualified. I really felt there was going to be a 1-2-3 in our group with Craig Pickering getting silver. I knew it was going to be me on top, but that’s just the mental state you need to have. I got a fantastic start after the false start and I won it by the first few steps – it’s a real beauty to watch back, that race. I switch off probably four metres before the line because I absolutely dominated it. That’s probably one of my sweetest successes. I turned it round mentally. It was just one of these things, people talk about digging deep and that was one of those moments. That equalled the Championship record co-owned with Colin Jackson and I would have broken my personal best had I been pushed to the line. That was one of the top five highlights of my career, right up there. It probably helped being at home. It was a huge amount of pressure. My reputation was at stake and we were being beamed into the nation’s frontrooms on television. We’ve had World Championships, European Championships, Olympics, Paralympics, Commonwealth Games, they’ve been so fortunate to have so many good opportunities to compete on home soil. Achieving home success, it boosts your profile and makes a name for you. 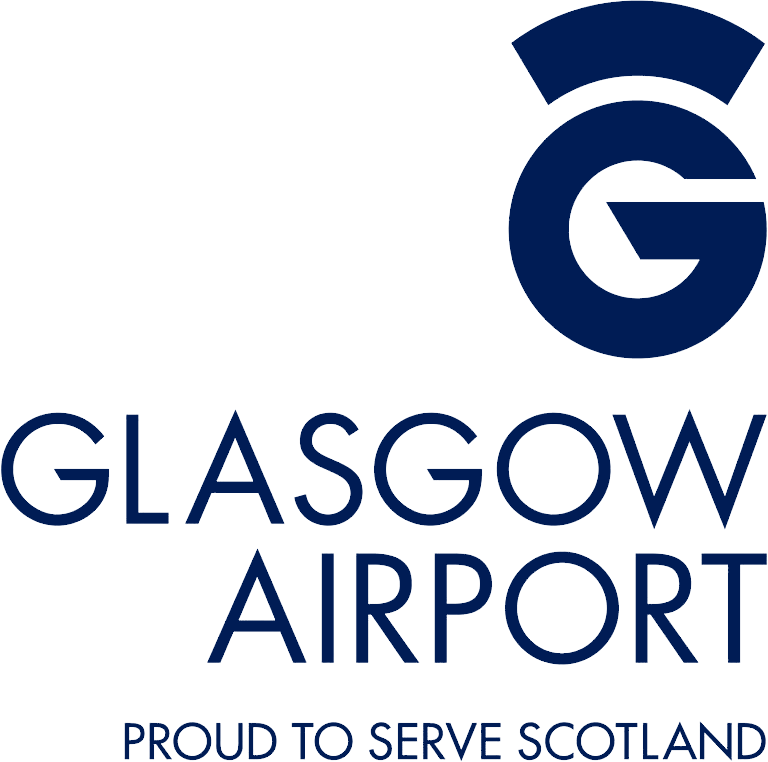 When it comes to Glasgow, it won’t be a shock for any of the British athletes.